Mahalo to our teachers, Kelsie in fifth grade, who led students to create impressive and inspiring Exhibition projects; Speech festival advisors Terrie and Leslie, who gave students good feedback and helped them build confidence; Zachary in band at summer school, who made learning the alto sax fun; and Bob and Valerie in sixth grade, who created an amazing Underground Railroad experience for their students. Mahalo to instructor Jessie and all the volunteers at the UH Manoa Saturday Gene-ius Day Program, who volunteered their Saturdays to make science entertaining, and coordinated a fantastic graduation extravaganza. Mahalo to our neighborhood parks, museums, libraries, and volunteer groups: Koko Head District Park for their ceramics studio; our neighborhood public libraries for Free Comic Book Day, summer reading programs (the online reading log was easy to use and I liked the reading challenge), and special events (we appreciated author Stan Yogi’s presentation about Fred Korematsu). Mahalo to the thoughtful clinician at the Kaiser Permanente Honolulu clinic who makes hair scrunchies for women getting mammograms (I wish I knew her name). Mahalo for family-friendly events: Home Depot’s Kids Workshop, where my son’s last project was a Valentine’s Day box; YMCA Healthy Kids Day at the Bishop Museum, where my son enjoyed the obstacle course and fitness cubes; the Mauka to Makai Expo at the Waikiki Aquarium, which taught me that the City will recycle SPAM cans; University of Hawaii at Manoa Institute of Astronomy Open House, where my son learned a little about spectroscopy and launched a bottle rocket; the Ellison Onizuka Day of Exploration, where my son had a blast at the Rockin’ Robots workshop with Lego, Vex, and Dash. Mahalo for generous giveaways: free yogurt on International Frozen Yogurt Day from Yogurtland; free Slurpees from 7-Eleven on July 11; a free kids meal during Family Fun Day at Panda Express; a free cookie for my son’s birthday at Barnes & Noble; and free French fries and Icees for a $1 donation to the BK Scholars fundraiser from Burger King. 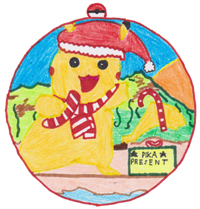 Mahalo to the Hawaii Council on Economic Education and HawaiiUSA for sponsoring a calendar contest that energizes students to learn about economics and encourages creativity. Mahalo to Rock-a-Hula for an energetic, exciting, and memorable evening of hula, song, dance, pearl divers and beach balls – and for their $6 kama‘aina tickets. On the spur-of-the-moment, we finished work, packed up my son’s homework, and headed for Waikiki. Mahalo for giveaways that introduced me to new authors and exciting movies. 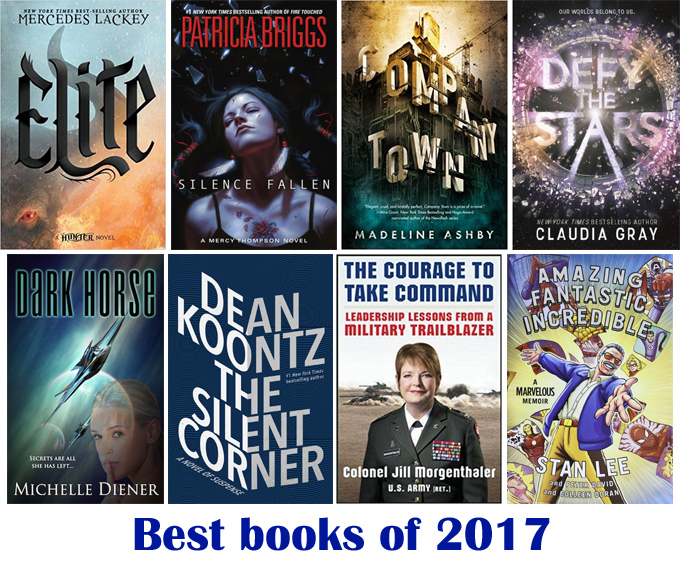 I was lucky to win “The Year’s Best Dark Fantasy and Horror 2015” edited by Paula Guran from Worldbuilders and “The Space Between the Stars” by Anne Corlett from Berkley Publishing and GoodReads.com. Mahalo for free tickets to “Justice League” to celebrate DTRIC Insurance’s 25th anniversary. And thank you, Better Hawaii readers, for thinking about ways to make Hawaii better. Who has made a positive impact in your life? Which events and celebrations did you enjoy this year? I made it a priority to read more books. Reading is a priority because I’m busy, not despite being busy. It’s a small but important difference. Most of the books I’ve been drawn to this year have strong female characters – they make mistakes, they doubt themselves, and they forge ahead to save themselves – and everyone around them. And I’ve been reading more young adult fiction, because I’m curious about the books this generation of teenagers is growing up reading. The outlier is Stan Lee, because his autobiography is just that entertaining. Here are eight of the best books that I’ve read in 2017. What book themes resonate with you? What have you been reading lately? Earlier this year, I helped plan a benefit concert. It was a fundraiser for a nonprofit organization, and in the beginning it seemed like a straight-forward event. We had a dedicated volunteer with a lot of energy and drive. We had performers. We had a venue. We even had a grant to cover concert expenses, like the invitations, program, security, and parking attendants. In the end, we pulled off a successful event. We had a respectable number of attendees for a stormy night. The attendees, performers, organization staff, and venue staff were pleased. We raised more money than we expected. There were no problems or “uh-oh” moments. It’s the middle part of event planning that was stressful. There’s more involved to planning a successful fundraising event than sending out invitations and waiting for people to show up. 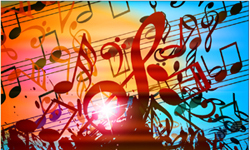 You can find comprehensive fundraising checklists and event plans online, but here are a few insights that I learned from planning a benefit concert on a small budget. * Build a trifecta of partners. For a well-planned event on a budget, you really need a trifecta of strategic partners: an expert (someone with knowledge, talent, content, or connections), a venue (someone with a good location), and a media outlet (someone with print, radio, television, or website reach). A donor or sponsor (someone with money) is nice to have, and can let you expand the event; but without the three key partners, it’s hard to keep to a modest budget. * Budget more time than you think you’ll need — you’ll need that extra time. Event planning consumed a lot more time than I expected. Even adding extra days to our timeline wasn’t enough; we were constantly running behind, because we can’t control how other people use their time. * Show them a glimpse of what’s to come. Share a short rehearsal video online to encourage people to attend the concert, inspire volunteers, and energize performers. It doesn’t have to be polished – in fact, releasing a candid, behind-the-scenes video can give acquaintances the feeling of being insiders. * Find volunteers – early. I waited until the last weeks before the event to look for volunteers, and it was a scramble to assign tasks. You can learn from my mistake, and ask for volunteers early on. In fact, over the last few weeks before the event, you can email weekly updates to keep concert performers, staff, and board members informed and excited. * Add something unexpected. Show your appreciation for concert attendees, as our volunteer organizer did when he created a songbook to give to attendees after the event. And show your appreciation for event volunteers, before, during, and after the event. Our volunteer organizer shared his enthusiasm through a songbook that was given to attendees after the concert. You probably can’t afford an honorarium, but if you have a hobby (like knitting, pottery, or jewelry-making), you could create small, hand-made gifts that have more meaning than a store-bought gift. Plus, you can spend time doing something you enjoy. One final thought: People attend benefit concerts for many reasons. They may simply enjoy music, or want to spend time with other people, or know the performers, or feel loyalty to your organization. But the most important reason is to support the children, individuals, and families who need a helping hand. Which events or fundraisers impressed you with something well-coordinated or surprising (in a good way)? Have you ever planned a corporate event or fundraiser? If yes, what worked well – and what do you wish you had known? My son has assembled and destroyed a lot of LEGO® in his life – from buckets of multi-colored bricks that gave him the freedom to build anything to kits where each brick matters. Today, almost everything he built is dismantled, disassembled, and torn apart now, scattered bits and broken pieces, a small multi-colored plastic fortune, ignored. I totally understand the temptation to use the Kragle. But here’s a secret: I recently caught him playing with a small LEGO® airplane he built. It wasn’t part of a kit and it there were no fancy pieces. 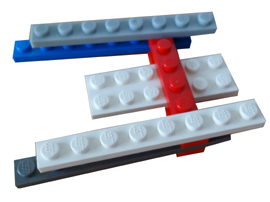 It was just a few rectangle bricks in the shape of a “u.” It was symmetrical but the colors didn’t even match. My son lay on his bed, zooming that simple airplane (space ship?) around with sound effects. That moment really opened my eyes. The expensive toys and play sets gave him a boost of excitement in the beginning, but he enjoyed the basic airplane made with random pieces that he made himself more. Sometimes we forget that kids can have more fun using their imagination, than following instructions from someone else’s imagination. A cardboard box can turn into a helmet. A yardstick can turn into a lightsaber. And leftover bricks can turn into an airplane. We don’t need to buy fancy gifts for the holidays. Sometimes the simplest gifts are the best – like time spent together. What is the most memorable gift that you received as a child? Do you buy gifts for yourself? The book begins with a brief history of Japan and the Pacific from the 1100s, including the rise of modern Japan in the 1860s with the abolition of the samurai class and the devastating effects of opium addition in China. Historical facts come to life with historic photos and newspaper headlines, poignant descriptions of war and imprisonment, bleak poetry, drawings by uprooted Japanese Americans, and photos of “sanitized” internment camps. On February 19, 1942, President Franklin Delano Roosevelt signed Executive Order 9066. In Hawaii, 1,037 “enemy aliens” were arrested, but the book downplays the effects of internment in Hawaii and doesn’t mention Honouliuli Internment Camp in Hawaii at all, commenting that internment was less severe in Hawaii because Japanese Americans were needed as laborers and skilled engineers. On the West Coast, 110,000 Japanese Americans were forced to relocate, while other persecuted minorities (Jews, African Americans) focused on their own situations and did not speak out. There are honest and unflinching recitations of prejudice, intolerance, fear-mongering, and a denial of humanity; racism sees only the collective, not the individual. 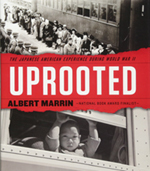 Marrin is blunt about the prevalence of racism on all sides: In Japan, where they controlled information and speech, and used propaganda in schools to indoctrinate racial superiority (the Yamato Race); and in the West, where non-White races were inferior, interracial marriages were illegal, Native Americans were dehumanized, and Chinese immigrants were barred from citizenship. Marrin shares stories of inspiring Hawaii-born nisei heroes, like Sergeant Hoichi “Bob” Kubo, a linguist who rescued 122 civilians who were captives of Japanese soldiers at Marpi Point, Saipan in 1944. He talks about Merrill’s Mauraders in India under General Frank D. Merrill; the 100th Infantry Battalion, with 1,432 Hawaii-born nisei who battled at Monte Casino, Italy in 1943; and the 442nd Regimental Combat Team, with 2,686 Hawaii-born Nisei and 1,200 mainlanders, including Captain Daniel Inouye (later a US Senator from Hawaii). What really struck me about the “uprooting” was the power of words to shape reality. Words can be used to spare someone’s feelings or to deceive. The American government used innocuous names like “assembly centers” where Japanese Americans gathered, and “relocation camps” where Japanese Americans were imprisoned – which in reality were “concentration camps” or “internment camps,” surrounded by barbed wire and armed guards. Marrin writes, “History is not destiny; it describes the past but does not decide the future.” Was your family impacted by the Japanese internment camps during World War II? Did learning about the internment camps change your perspective about individual rights and public safety? You are currently browsing the Better Hawaii weblog archives for December 2017.